The practice of using two containers and shaking a combination of ingredients is an old practice. However, a Shaker can effectively mix health and sports supplement drinks. When your drink contains eggs, cream or fruit juices, it is necessary to shake the ingredients. Shaking is the procedure by which you use a Shaker Bottle to mix ingredients together and chill them simultaneously. The purpose is to almost freeze the drink by breaking down and combining the ingredients. Protein Shakes are the best way to get nourishment right after your workout. A protein shake provide essential nutrition that you need to boost your stamina. Shakes provide a large amount of protein in very small doses. 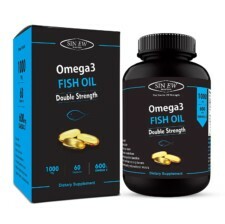 It is used as a supplement and never as meal replacement. You should eat regular meals and then consume shakes in between meals and after workouts. A Shaker can efficiently mix health and sports supplement drinks as it is very important that you stay hydrated when you are working out in the gym; the efficiency of the exercises also depends, to a level, on how much water you drink. Make sure that you carry a handy bottle or shaker with you when you leave home. With a Shaker of your choice you will love preparing a shake for yourself, within no time. All you have to do is follow a simple procedure to prepare a delicious shake for yourself and your friends. Just put in collectively all the ingredient like powder and flavors and shake it well. The shaker will blend all the ingredients well and will make a delicious and yummy shake just for you. 1. The shaker bottle comes in handy and people love using it as it is absolutely perfect for all their health supplements and fruit juice drinks. 2. With its tight spill-proof cap that can be unfastened without trouble, these drink accessories guarantee that there are no spillages when blending the beverage. 3. The shaker bottles are very easy to use and inexpensive and it can also be used to keep a shake or a protein drink refrigerated for a longer period even if it is frozen for just half an hour. 4. Shakers can also be used for blending sauces, marinades and even omelets. 1. Shaker is something you would need to use daily so it must be easy to clean. 2. Before buying a shaker make sure it is of high quality and it doesn’t stink. 3. It is very important that your shaker is handy and and easy to carry. 4. Shaker must be quite easy to maintain as it will be a part of your daily life. 1. Body fortress all in one shaker: The body fortress patent pending all-in-one shaker cup promptly and with no trouble prepares delicious shakes, drinks and more! With a fitted tablet case on top to hold all your tablet form supplements, and a bonus, separate section on the bottom of the shaker to house your protein/meal replacement powder, this shaker offers handiness and purpose all in one! This would be your wonderful companion for: travel, office, school, gym, or even the car! 2. Shaker 40 Pro: Shaker 40 Pro is the ultimate product all your blending needs. 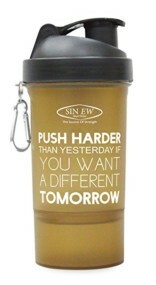 With this shaker 40 pro you will love preparing different shake for yourself with no trouble and in no time. It is especially crafted for people who relish variety of shakes. The carcass of the shaker is circular in shape, which helps in accurate blending of the product. It blends all the ingredients well, avoiding any creation of any solid lumps. 3. 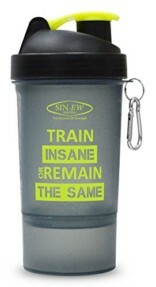 SmartShake Monster: Crafted with three storage sections, smart shake monster has one detachable pill section too. It is microwave safe, freezer and dishwasher and is 100% leak proof. It has a concave hexagon strainer that fits the lid so well that it makes sure your yummy shake is without lumps. The shaker also includes an ideal section to keep your key or gym card. 4. MB blender bottle sport mixer: MB blender bottle sport mixer comprises a patented blender ball stainless-steel whisk that efficiently blends even the thickest of ingredients with no trouble. It comes with a suitable sport loop for hassle-free carrying, a large drinking spout and a rubberized over molding for no-slip hold. 5. Neulife Smart Shake v2: The SmartShake v2 comes with three storage compartments which can be aptly use for easy and organized store several servings of nutritional and dietary supplements. It has two section containers for supplements, one of them with a separable pill compartment. You won’t have to carry an extra bags or cans, because you can store everything in the shaker. It is also safe for dishwasher, freezer, microwave oven & hot liquid. The shaker is appropriate for blending all kinds of nutritional brews and is a favorite with a number of enthusiasts of fitness who need these shakes at regular and repeated intervals of time. Some of these shakers come with mixers and these are best suited for athletes and fitness aficionados who are into rigorous training and need to focus on the fitness levels most of the time. Modern technology has come a long way and products like these are must-haves for people who believe in buying quality and useful gear that is appropriate for their use. Today’s protein drink contains eggs, cream or fruit juices which if not blended well cannot be consumed. With the help of a suitable shaker you will be able to mix ingredients together and chill them simultaneously.